The Lake House Movie is an entertaining movie starring Keanu Reeves, Sandra Bullock and Christopher Plummer. Another time travel movie, another challenge to describe on paper. This time travel movie uses a mailbox as a device to trigger the change of time between that of a lonely female doctor and that of an architect who live two years apart but find themselves in a highly unusual romance. It's a chick flick that Amazon says is "a sweet, relaxed-paced, whimsical romance." I agree. Barnes and Noble calls it "An old-fashioned, dreamlike romance." I agree. Definitely a romance movie. Sentimental. A love story. It is definitely a girlfriend movie or a chick flick and would probably be a good 'date' movie although since this movie has long been out of the theatres, it will have to be from the comfort of your home theatre. The chemistry between the Reeves and Bullock is pretty good and the soundtrack definitely caught my attention. I couldn't help but think it sounded a bit like the Beatles and, when I checked it out, I discovered lo and behold, that Paul McCartney is listed as one of the artists. The blu-ray was released in September of 2006 which must make it one of the first blu-ray movies. (I'm not actually sure when they started making blu-ray discs.) I watched The Lake House on DVD though so I turned to the experts at High-Def Digest to see what they had to say about the blu-ray disc. In summary, they thought that the transfer was 'perfectly fine' and recommended the blu-ray for big fans of the romance genre, Bullock or Reeves. As with most time travel movies, you have to be prepared for the time travel part to be less than logical for it will have you going, "but why didn't they..." If you can do that and you choose to check out this movie, I think you will be nicely entertained. Buy The Lake House from Amazon on blu-ray or DVD. What do Avatar, Tim Burton's Alice in Wonderland, How To Train Your Dragon and Clash of the Titans have in common? Why, they are all part of the recent 3D craze. Well, the movie theatres are simply not equipped to deal with multiple 3D movies at once. Which causes a dilemna...which 3D movie to show if you only have one 3D movie screen? Avatar's run in 3D was shortened in some theatres when Alice in Wonderland in 3D became available. Now it is time for Alice in Wonderland to move on to make room for the 3D film How To Train Your Dragon, whether or not the theatres are still packed with Alice viewers who have earned the film $215 million US dollars to date, it simply has to go. Alice, you might say, is causing a traffic jam. Clash of the Titans? Yes, that is the next 3D movie in this epic battle or clash that is being played out between movie studios and theatres throughout North America. Word has it that theatres have been told if they don't show a certain film in 3D, they will not be given the 2D version at all. Interesting, isn't it but what does it mean for you and I? More good movies at the movie theatre if you do not mind spending more money on 3D movie tickets and in the near future, 3D televisions. 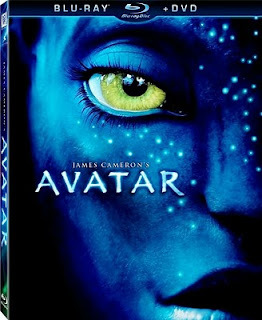 Order your copy of Avatar on blu-ray or DVD from Amazon. Beatles The Anthology is my answer to having missed the television special The Beatles on Record which aired on television on December 4th, 2009. The reviewer in my local paper called it "way cool, both as a TV program and as a visual record of music history." I cannot believe that we missed it. I checked to see if The Beatles on Record is available on Amazon (which has been known to happen with other television specials) but unfortunately, it is not, at least not yet. So I looked to see what else was available if you wanted to see a film about the Beatles and was pleasantly surprised to find this one called Beatles The Anthology. It sounds like it would be perfect for my 18-year old son who has the Beatles tunes going around on his iPod and for my husband who, of course, has a history with the Beatles. Beatles The Anthology was also a television special and was released on DVD in 2003 which starred John Lennon, Paul McCartney, George Harrison, Ringo Starr and Neil Aspinall. 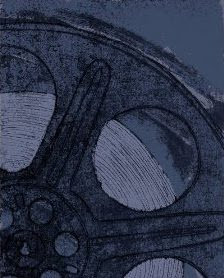 It is a boxed set which features 600 minutes of black and white and color film. That is a lot for anyone who is NOT keen to learn about the Beatles. Amazon said, "This stands as a comprehensive document of that heady period, the second coming of rock and roll, as the Beatles took what Elvis had started and expanded upon it exponentially. The tapes (DVDs) give a solid sense of the historical context and the way these four musicians changed the world around them in the 1960s." Well received by fans the world over, it has a whopping 297 five-star reviews making it Amazon's best Beatles DVD. One Amazon customer said, "The Beatles Anthology is a true and noteworthy piece of history. I can't believe that I've gone so long without seeing or owning it, but after receiving my DVD box set, I literally spent an entire weekend watching the entire thing. Probably I thought beforehand, as many would, that over the years we have seen and heard all there is to see and hear about The Beatles. Not even close! I was amazed at the footage and audio that was presented in this collection, which includes more than a few gems." Until The Beatles on Record is rerun on television or available on DVD or blu-ray, this sounds like a great substitute for Beatle fans like the men in my family. 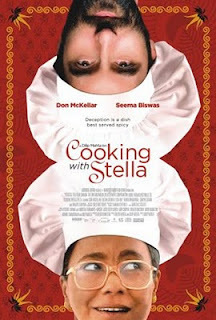 Another interesting foodie movie, Cooking With Stella, comes our way. It seems that food movies are all the rage right now. If you like food movies, as I do, then you are in luck. If you love Indian food, this latest one is definitely for you. Julie and Julia, of course, was the most popular food movie of late although I would say that Ratatouille was in the running, too, as a very popular food movie but I suppose you could argue that the subject matter was a tad different as was the type of movie making them well, not really comparable. Which brings us back to this new movie, Cooking With Stella. Interestingly enough, it has an Ottawa, Canada connection. (That's where I live.) It turns out that the story is loosely based on an Ottawa chef named Cameron Stauch and his family who spent a bit more than three years living in India. He was the stay-at-home Dad who did some cooking and catering. She was a Canadian diplomat assigned to Dehli. Their time in India became the basis of the story, Cooking with Stella. I have not seen Cooking With Stella yet but it looks and sounds like a beautiful movie with great scenery and great food. Katherine Monk, also of the Ottawa Citizen, gives this movie three stars and says that it is "easy to watch and a cinch to digest. It's also guaranteed to make you hungry." I think I will make it a date ~~ the movie followed by an Indian meal at my favorite local Indian restaurant. Searching For The Best Food Movie? Imax Under the Sea is one of Imax's very successful nature films and deals with life under the sea in some very exotic locations including the Great Barrier Reef and the South Pacific. It will be available on blu-ray and DVD on March 30th. If you enjoy nature documentaries and Imax films, you might want to pick this one up. Howard Hall leads the group that worked together to create the successful Imax films Deep Sea and Into the Deep and Jim Carrey provides the voice. Reviews of Carrey's narration are good. 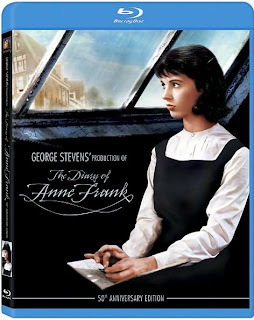 The advance review of the blu-ray disc by blu-ray.com says that the Audio and Visuals of this film are quite stunning; the special features, unfortunately, lacking. Imax's Under the Sea is, of course, suitable for children. However, be warned that there are some startling scenes, that the creatures eat each other, that mating habits are shown and that the threat of global warming is discussed. The 40-minute runtime of a nature documentary film might also push the limits of the youngest children. Another great Imax film to add to your nature movie collection. Read more about Imax's Under the Sea. Order your copy of Imax Under the Sea from Amazon on blu-ray or DVD. Are you wondering if the story in James Cameron's Avatar movie is as good as the effects? I was and I did a little research on Twitter and Facebook when I was trying to decide if I should go to the movie theatre and see this movie or not. I needed to know that there was a good story involved, too. The results of my informal research indicated that I should go. Friends from both Tweeter and Facebook said that it WAS a good story. The Movie Mom's review went along with what my friends had to say and finally, the longer trailer (which shows more of the story than the first) clinched my decision and off I went. Well, there is no question in my mind that Avatar is a stunningly beautiful movie. I believe that James Cameron accomplished his goal of producing the most technically advanced movie ever. And the story? It was good, too. It was a human story of a young man trying to save an alien tribe from his fellow human beings. There was plenty of action and adventure and there was compassion, too. Would I recommend Avatar? Yes, I would. I would say run to the movie theatre and see it on the big screen with 3D glasses while you can. If it is too late for that, relax because you can already preorder it from Amazon and you will only have to wait until April 22nd to see it as that is the release date for the blu-ray and DVD discs. Oh, and by the way, this was the first 3D movie that I have ever seen where I actually FORGOT that it was 3D. That is rather important, too. Order your copy of Avatar from Amazon on blu-ray or DVD. Read a longer review of Avatar and watch the movie trailer. It took a few days for me to think it over but I have finally completed my Tim Burton's Alice In Wonderland movie review. For full details, you can read my page by clicking right here. Alice in Wonderland was a beautiful and entertaining movie. 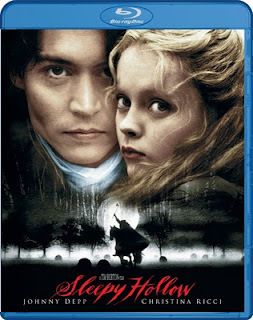 If you like Tim Burton, Johnny Depp or Alice in Wonderland, you will probably enjoy this movie. If you have been anxiously awaiting the release of this movie, you might be somewhat disappointed but you have probably already seen it in this case. If you have children, you should be aware that this film has some grotesque moments and if your children are younger than say Grade 4, you might want to take a pass on this movie. I rated it a 3 out of 5. Fun but not fantastic. Entertaining but not destined for my favorite all-time movies list. I saw it in 3D and thought that I might have preferred it in 2D. I guess I will have to wait for the Alice in Wonderland blu-ray movie release to see it in that format. I read somewhere recently that there have been something like 60 filmed versions of Lewis Carroll's book...that is pretty remarkable. I wonder how Tim Burton's version will stand the test of time. Please let me know what you thought of this latest Alice in Wonderland movie. 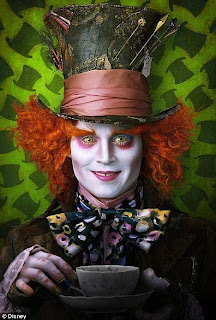 Visit my long review of Tim Burton's Alice In Wonderland. 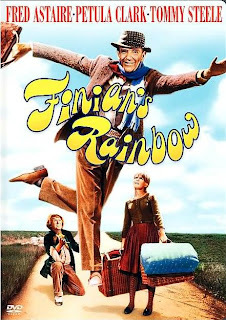 Finally, the Finian's Rainbow movie review I promised. I finished the movie last night and I have not stopped thinking about it. I am fascinated by the background of this story. Fred Astaire received mixed reviews from the media for his performance in this film but remember, he was an older man playing an older man. Perhaps his role could have been done differently by someone else but I think he was simply 'right' for the role. Tommy Steele was considered by some to have over acted the leprechaun and I will admit to finding him a bit strong at the beginning but you know, by the middle of the movie, he seemed well, just right. Outlandish...but what else would you expect from a leprechaun turned human? Petula Clark received praise for her role in this movie and she was wonderful. Her voice was angelic and she could dance, too. I really did enjoy this movie. It was dated and yes, my 16-year old took one look at the set and exclaimed, "That's fake." Despite the apparent fakeness, the set still managed to be beautiful, lush and green. It may not have been Astaire's finest dance performance but there was plenty of fine dancing from him and the entire cast. He was, after all, 69 when he made this film. Finian's Rainbow features an amazing soundtrack filled with great songs that really were beautifully done. Finally, the movie included an fun storyline with a nice dose of humour. Just the way I like my movies with this one being perfect as St. Patrick's Day approaches. 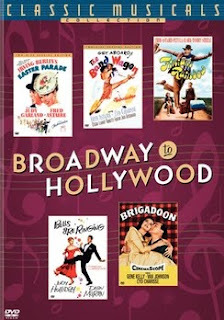 If you are interested in watching it, you might choose to order this Classic Musicals Collection Broadway to Hollywood which includes Finian's Rainbow plus five other great movie musicals including Easter Parade, The Band Wagon, Bells Are Ringing and Brigadoon. And if you watch Finian's Rainbow, make sure to watch the special feature of the broadway opening of the movie in 1968 in New York. Order Finian's Rainbow from Amazon. Order the Classical Movies Collection from Amazon. How about a musical leprechaun movie for St. Patrick's Day? Finian's Rainbow is beautiful to look at and lovely to listen to. The storyline features a girl-meets-boy plot with a father and a leprechaun in the mix. Throw in lots of singing and dancing and a few humorous moments and it turns into a pretty entertaining movie. Movie musicals had gone out of style at the time of this release and Finian’s Rainbow received mixed reviews. Critics considered Astaire aged; Steel, who played the leprechaun, overdone. Praise was given for Clark, who sings like an angel. Tomorrow, I will finish watching the movie and I'll report back. at end of Finian's Rainbow! Buy Finian's Rainbow from Amazon. Looking For A Family Friendly Leprechaun Movie For St. Patrick's Day? A pretty great package full of legendary movies which Amazon has featured at almost 50 percent off plus, of course, it is eligible for Amazon's FREE shipping program. I think it would make an amazing gift for a movie fan like my husband. Buy the Columbia Best Pictures Collection from Amazon. All this talk about Tim Burton's Alice in Wonderland had me wondering last night which of the Tim Burton movies are available on blu-ray. It turned out there are quite a few so I decided to feature the best of them here with the best in this case being defined by average customer review of the film in general, not just the blu-ray version of the movie. Of these movies, The Nightmare Before Christmas blu-ray disc scored the best reviews with top marks for audio and visual from blu-ray.com. Beetlejuice and Batman followed not too far behind. So, whether you choose to pick the top-ranked movie based on customer review or on blu-ray review, this is an interesting selection of movies for your blu-ray viewing pleasure. Click here to see all of the Tim Burton movies available on blu-ray from Amazon. Tim Burton's Alice In Wonderland Movie Review. 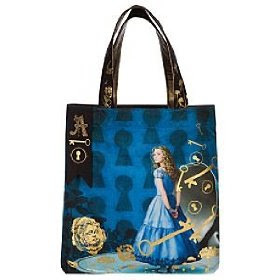 Alice in Wonderland Purses and Tote Bags. Have the names Tim Burton, Danny Elfman, Lewis Carroll, Alice in Wonderland and Johnny Depp set you up for a fantastic time at the movie theatre? Are you more than a little bit anxious to see the new Alice movie? Are you forced to wait for one reason or another? Is the suspense killing you? Rotten Tomatoes has it rated at a pretty low 56 percent, with the opinion being that Tim Burton has given up the heart of the Alice in Wonderland story for a visual treat. I enjoyed the review a bit more at The Daily You, even though it was not as flattering as I wished it to be. Their summary of Tim Burton's Alice in Wonderland might be that the story doesn't quite live up to the eye candy. I liked the Blog Critics new Alice movie review because it gives us reason to hope that yes, we might actually like this film. It says that this film will live up to our expectations. If you are wondering about the appropriateness of this film for your children, you might like to know that The Christian Science Monitor calls the movie PG citing "fantasy action and violence involving scary images and situations, and for a smoking caterpillar." And finally, the word from one of my absolute favorite online movie reviewers, Nell Minnow, who writes as The Movie Mom on Beliefnet. She recommends the movie for children aged Grade 4 and up and she gives the issues in the film a more thorough description when she says that this film features "some grotesque and scary images including monsters with lots of teeth, wounds, and severed monster head, gouged eye, fantasy violence including chases, swords, punching and beheading." Definitely good reasons NOT to take your young children to see this version of Alice in Wonderland. Oh, and she grades the movie, too, with a B+ which makes me smile. I have been trusting the Movie Mom's opinions for well over 10 years and now, once again, I feel like there is still hope for this much anticipated movie. Am I going to see Tim Burton's Alice in Wonderland at the movie theatre? You bet I am! Meanwhile, I would love to hear if you are planning on seeing it or, if you have already seen it, what you thought of it. Buy this Alice in Wonderland Movie Triptych from Amazon. What does Disney do best? Make movies? Maybe, but they also do a phenomenal job of creating movie merchandise. Unsurprisingly, they are the world’s LARGEST licensor of consumer products. 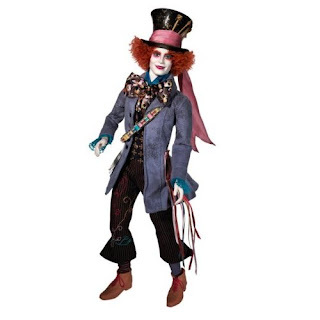 Eventually, I will be writing a review about Tim Burton’s Alice in Wonderland but right now I am intrigued by the merchandising since we all know that movie merchandise seems to be almost as important as the movie itself these days. 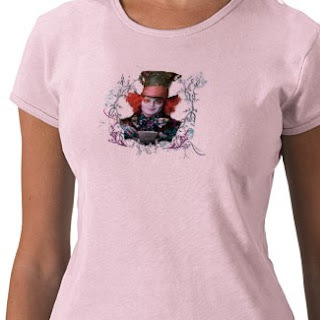 The merchandise available for this movie includes some more unusual home decor, apparel, designer accessories and jewelry by the likes of Swarovski, Stella McCartney, Sue Wong, Avril Lavigne plus collectible figurines and even a tea set. Of course, there are also the more ordinary or usual merchandise items like CDs, books and video games. Since the original Alice in Wonderland is out of copyright there is likely also to be unofficial product available too, like the Versace handbags I have read about which feature the White Rabbit. (I wouldn't mind seeing one of those; I could not actually find any reference to them online. Although Alice in Wonderland is said to have inspired Versace's 2010 spring fashion line.) At least Disney's official products should bring merchandise of a consistent quality. In terms of marketing, Disney has to walk a fine line here as the danger in this age bracket is very real of turning the fans off with too much merchandise. This age group likes things to be on the fringe and if the merchandising is too mainstream it won't be cool enough for them anymore. People ARE talking about this movie and they ARE shopping. Disney has definitely done something right. March 23rd, 2010, is the official and much-anticipated date of the release of The African Queen on blu-ray and DVD. Classic film lovers have been anxiously awaiting this release for a long, long time. C.S. 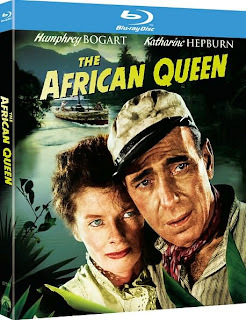 Forester wrote the novel, The African Queen, in 1934 and, in 1951, the novel was made into the movie starring the legendary Humphrey Bogart and Katharine Hepburn. The movie opened on December 23rd in order to be eligible for the 1951 Oscars and Bogart won an Academy Award for Best Actor in a Leading Role. The film also received nominations for Best Actress in a Leading Role, Best Adapted Screenplay and Best Director. 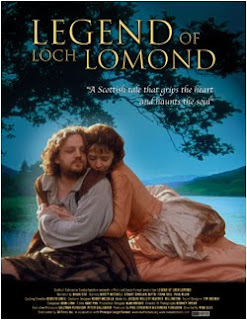 The story is one of romance and adventure, of love and of human character. It is set in Ceylon and tells the story of a grumpy bachelor and his female opponent. The adventure is against all of the elements found in Africa, World War I and each other. Of course, love and character win out in the end. The movie was released on Region 2 DVD in parts of Europe but only available in North America on VHS and Laserdisc. 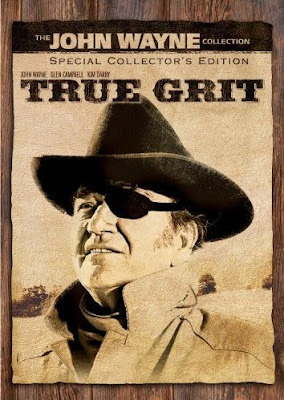 There is a Region 1 (North American) DVD version available. However, what I have read indicates that it is questionable on two counts, one based on quality and the other whether or not it is an authorized disc. If you have been watching The African Queen on an old VHS tape or only when it shows up on television reruns, you are probably anxious to view the fully restored version which will be available in just over three weeks. If you haven’t seen The African Queen at all and you enjoy classic movies, you should see this one for which Humphrey and Bogart occupy the Number 1 spot on the American Film Institute’s list of the greatest American screen legends of all time. Will The African Queen be one of the best blu-ray movies of 2010? If Paramount does it well, I am sure it could be...but only time will tell. Click here to order The African Queen on Blu-ray or DVD. Amazon offers a pre-order price protection policy which guarantees that you will pay the lowest posted rate between now and the date your order ships. 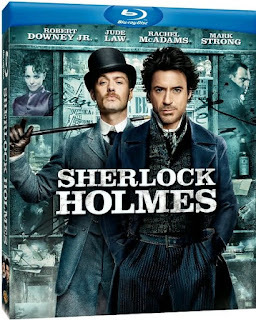 Amazon has already discounted this movie by 30 percent plus they offer free shipping on orders worth $25 or more. A couple of great reasons to consider ordering movies through Amazon. 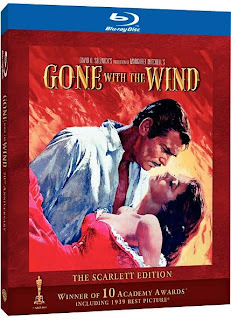 The final movie on Sound and Vision Magazine's 10 best blu-ray movies of 2009 is Gone With The Wind, an award-winning classic movie. The novel Gone With The Wind was published on June 30, 1936. It took seven years to write and eight months more to check that the historic and social facts were accurate. It was Margaret Mitchell's only novel (a herculean effort) and won the 1937 Pulitzer Prize. The story was adapted into the movie in 1939 and starred Clark Gable, Vivien Leigh, Leslie Howard and Olivia de Havilland. It won ten Academy Awards, a record that would not be broken for twenty years. In the 1998, the Top 100 American Films of All Time named Gone With The Wind number four. About this top blu-ray movie, Sound and Vision said, "The studio (Warner) pulls out all the stops again for another 70th Annversary Ultimate Collector's Edition. When you aren't being amazed by the remarkably fresh picture and sound, you can dig into the extras." Classic movie fans will definitely want to check out Gone with the Wind on blu-ray. A top-notch transfer of a very important film. Order Gone With The Wind on blu-ray from Amazon. Subscribe to Sound and Vision Magazine.